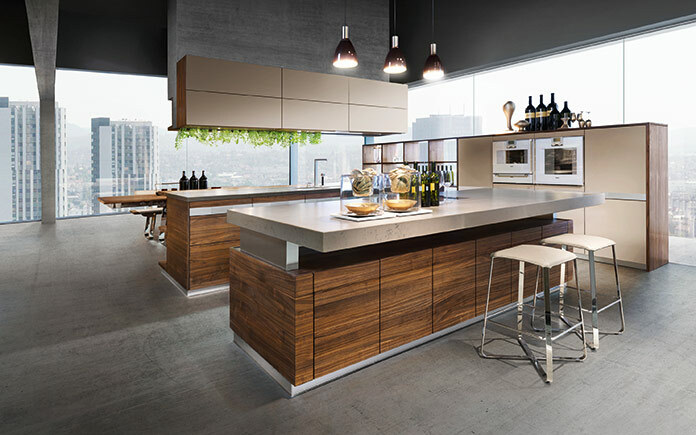 This kitchen breaks down barriers to combine the basic functions of the ‘living’, ‘dining’ and ‘cooking’ areas: The LGA-tested and GS-certified k7 kitchen by designer Kai Stania. 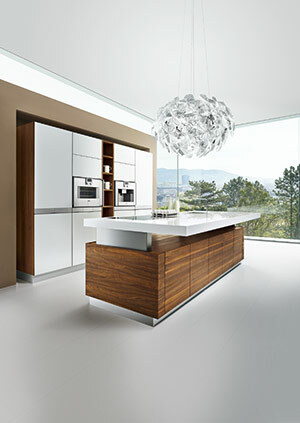 At the core of the k7 is the island with its height-adjustable work surface, with which TEAM 7 is setting new standards. All kitchen users can benefit from the ergonomic design while working, regardless of their height and the activity undertaken. 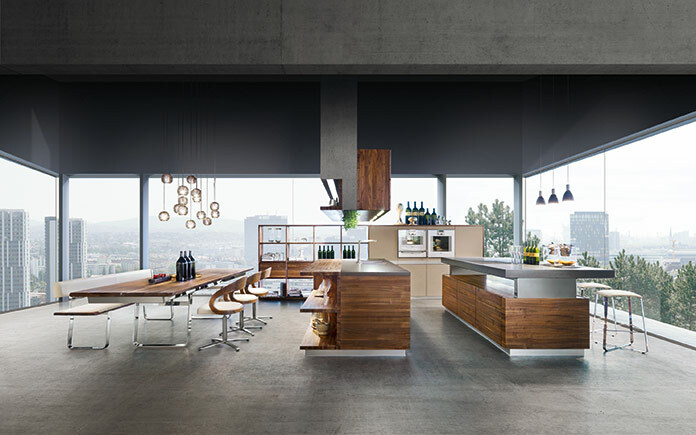 It also enables the kitchen to be visually integrated into the living area. By lowering the work surface, the cooking island can be used as a sideboard, creating a subtle and understated feature; by raising the work surface, it turns into a striking bar. Thanks to intelligent technology, the height of the work surface can be adjusted in one movement between 74 cm and 114 cm. With this kind of height adjustment, TEAM 7 is leading the way when it comes to kitchen design. Once again ahead of its time, TEAM 7 is now making significant improvements to this technology to make its movement softer and more high-quality. An operating control, flush- mounted and integrated into the edge of the work surface, is the final ‚crowning‘ detail in the new high-quality design. 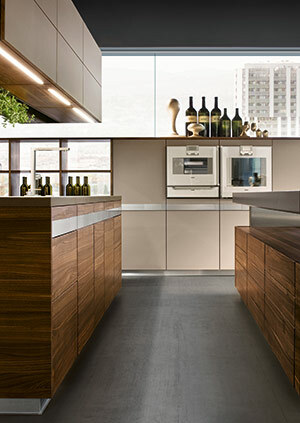 The k7 is highly expressive thanks to its exciting mix of materials: wood, coloured glass fronts, quartz stone for the work surface and stainless steel. The range of products is now being supplemented by a new natural quartz stone colour, the look and feel of which are in perfect harmony with the glass colours. This combination brings together nature and urbanity, creating a synthesis of pure sensuality and factual stringency.